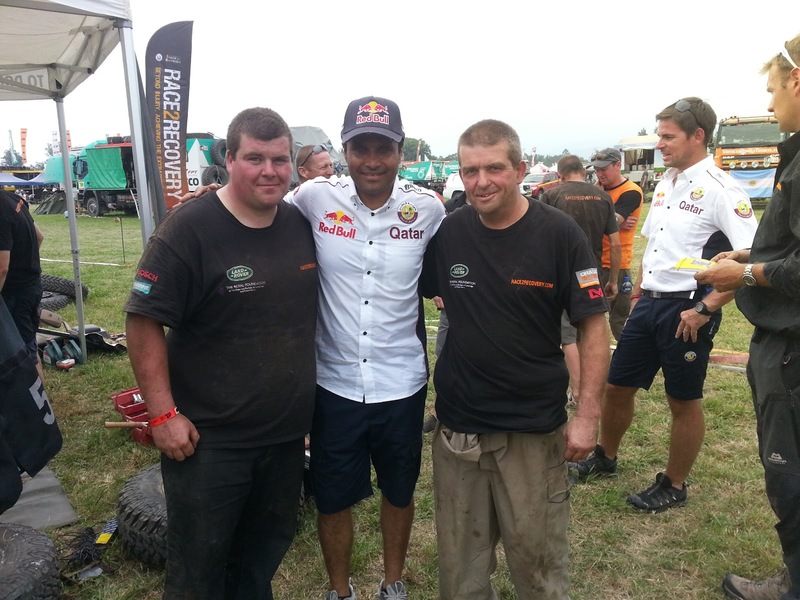 A father and son team of mechanics from Good Garage Scheme member garage, The Old Forge Garage in Leadenham gave up their jobs for a month in January 2013 to be part of a race team involved in the legendary Dakar Rally. Phillip Bayliss and his father Chris spent four weeks in South America with the Race2Recovery team, mainly made up of injured and limbless servicemen and women. Phil and Chris who run The Old Forge Garage in Leadenham, are Land Rover specialists and have grown up off-road racing their 4x4s around the country for 20 years. A friend recommended them when another mechanic dropped out and they enjoyed the exciting trip of a lifetime. Phil also said it was a privilege to be part of the team and admired the way the injured teammates just got on with things, despite suffering from sores where sand affected artificial limbs. 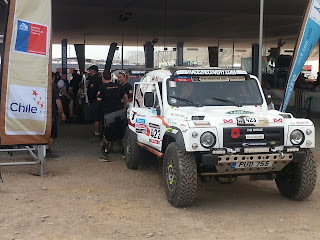 The Race2Recovery team were the first disabled team to finish the rally and received a special message of congratulations from the Duke and Duchess of Cambridge for their efforts. The 15-day route, which took place in January of this year started in Lima, Peru, through Argentina to Santiago, Chile. It covered 9,000km over extreme mountain and desert terrain and the support teams needed to drive ahead to meet the competitors at the end of each stage, working through the night. Not only were they coping with lack of sleep, they also suffered the effects of altitude sickness as they drove up to heights of 4,800m over the Andes. The Bowler Wildcats took a lot of punishment and one vehicle was written off when it hit a ditch at 60mph putting the occupants in hospital.